New looks for old and new heroes alike. The next Overwatch Archives event is just over the horizon. 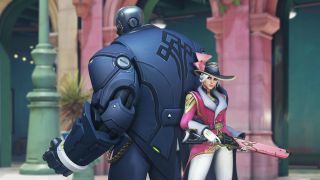 Like Retribution and Uprising in years past, this year's event, Storm Rising, will be a co-op story-driven mission featuring a handful of Overwatch heroes. This time around, the story features Tracer, Genji, Winston, and Mercy as they hunt down Doomfist's omnic accountant Maximilian.